The perfect app for school, college and university. Join more than 4 million people and download the app for free today. "It's exactly what a timetable should be." A beautiful, simple way to view your schedule, featuring a calendar display and multi-week support. Keep track of homework and assignments. 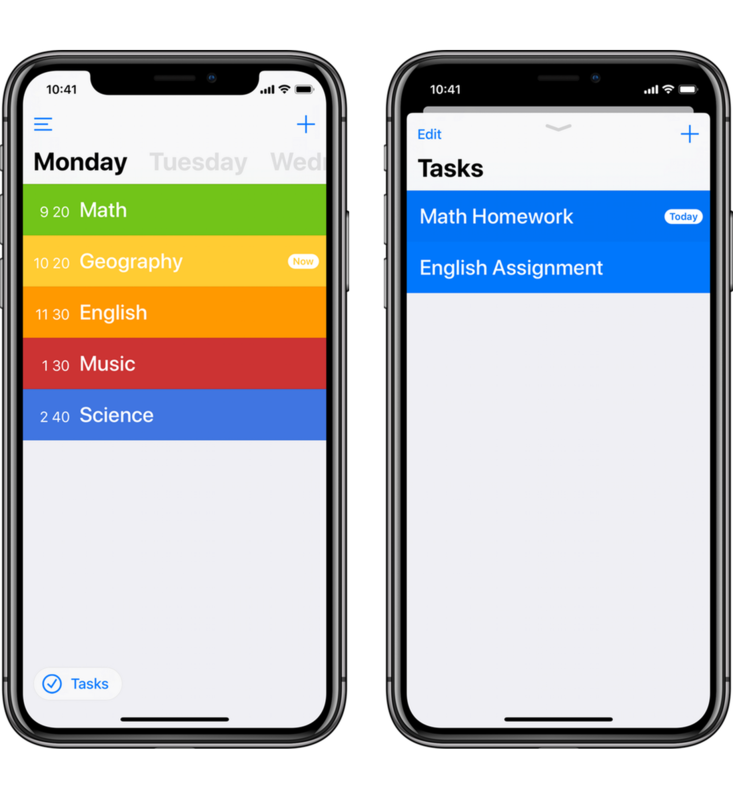 Tasks support notes, reminders, and categories (coming soon). Class reminders, Apple Watch support, and a Notification Center widget make accessing your timetable easy.